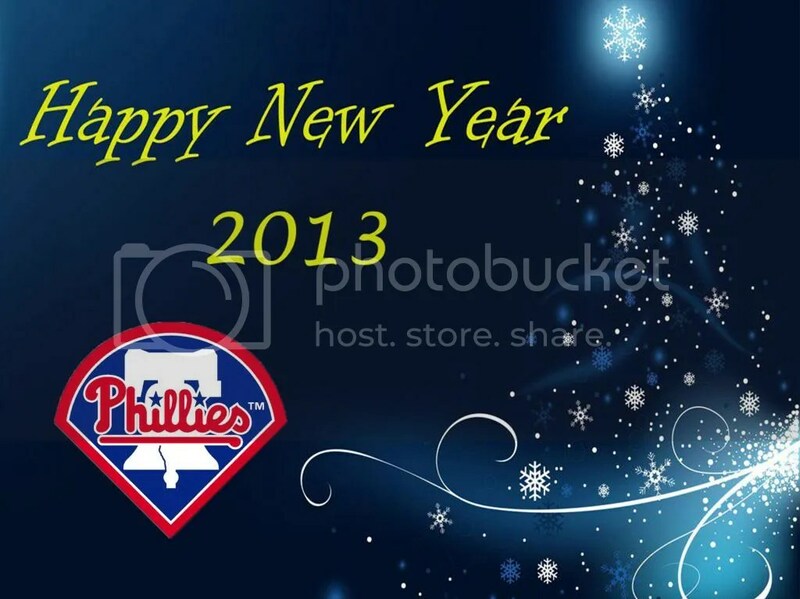 In what has become an annual tradition, I usually post New Year Resolutions for Phillies fans at about this time. But it seems that as a fan base, most of us do seem to have our act together. As for the 2012 Phillies team, the same cannot be said. They need some serious help. Jimmy Rollins – I resolve to stop swinging for the fences and hitting pop-ups. I will stick to line-drives and grounders. Roy Halladay, Chase Utley & Ryan Howard – We all resolve to be healthy, productive members of this team! No more bum shoulders, ankles or knees! Kyle Kendrick – I will not mope when I feel disrespected and just keep pitching. I will put on my big-boy pants and wear them all year long. Carlos Ruiz – My goal is to repeat my 2012 performance, without the performance-enhancing ADHD pills, thereby regaining the respect I lost after getting suspended. Ben Revere – I resolve to hit my first major league home run in Citizens Bank Park. If Juan Pierre can hit a homer here, then so shall I! Ruben Amaro Jr. – No matter how tempted I am to save money, I will not sign former Phillies relief pitcher Ugueth Urbina. Yes, he paid his debt to society. However, he did attempt to murder 5 ranch hands by setting them on fire and chopping at them with a machete. Perhaps we should pass on this one. Domonic Brown – I resolve to reach my full potential this year and prove I belong in the big leagues, preferably by May. Mike Adams – I resolve to be fully recovered from surgery and return to my All-Star relief-pitcher form in order to be deemed worthy of my giant $12 million contract. Written by Phillies Phollowers Leave a comment Posted in baseball, MLB, MLBlogs, Philadelphia Phillies, Phillies photos	Tagged with ADHD, baseball, Ben Revere, Carlos Ruiz, Charlie Manuel, Chase Utley, Domonic Brown, holiday, Jimmy Rollins, Kyle Kendrick, Mike Adams, MLB, New Year, new year resolutions, performance enhancing drugs, Phillies, Roy Halladay, Ruben Amaro Jr.